I'm slowly becoming obsessed with those Funko Pop vinyl figures depicting child-like characters from my favorite movies and TV shows. My wife and I each ordered Groot bobble-heads that were supposed to ship last month. They have yet to arrive. I've been contemplating snagging a Drax figure in the meantime, because he was both a physical badass and a comic delight, and because I like placate my growing emotional ennui with craven consumerism. Bautista, a former pro-wrestler, was easily the biggest question mark when it came to the cast of Guardians Of The Galaxy, but now producers all over town want to be in the Dave Bautista business. First in line is Barbara Broccoli and the still untitled 24th James Bond movie. After adding French actress Lea Seydoux as a Bond Girl to be sexed up and/or killed late in the movie, director Sam Mendes has officially snagged Drax to play a new iconic henchman who may or may not be called Hinx. No word yet as to whether or not the character will sport either maniacal dentistry or lethal haberdashery. 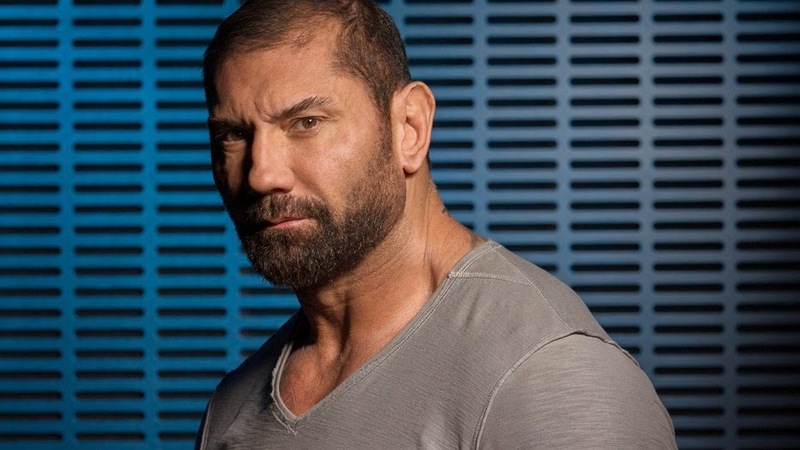 I'm all for Bautista continuing his high-profile run and I'm excited to see him show off his evil side (if you want a little taste of what's to come, I'd recommend his work in Riddick) but the Bond henchmen are typically not the most verbose of characters. Hopefully Mendes will get the chance to utilize not just Bautista's imposing stature, but also his charming personality to create a character that is memorable for his personality along with what's sure to be a very specific method of dispatching British agents.